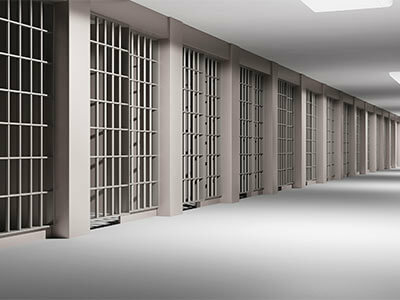 Fire & Public Safety Flooring – needs to be tough, resilient, safe, and well maintained. These seamless polymer flooring systems have to be dependable and long-lasting as these environments generally operate 24/7. 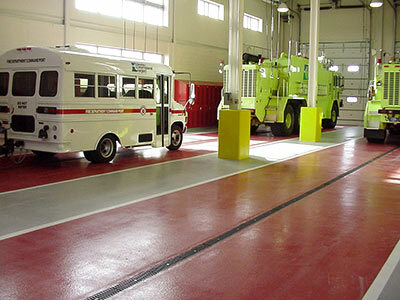 In the apparatus bays, the floors must be hardwearing, chemical, stain, impact, abrasion, and non-slip resistant. They need to be easily cleaned and maintained. With excellent moisture vapor resistance, ProREZ offers a number of protective flooring solutions that are engineered to provide superior adhesion to even substrates with inherent concerns. Our high-build resurfacing systems also enhance point-impact from dropped tools, and protect against the traffic patterns of large, heavy emergency vehicles and mobile equipment. Various non-skid textures, line striping and safety markings can help establish work & traffic zones, as well as enhance overall image. Embedded logos can personalize the finish. In the occupied common areas like offices, recreation & locker rooms, kitchen & dining areas, etc., the flooring needs to be equally hard-working, tough & resilient, as well as easy to clean & maintain – looking as good as it performs. At ProREZ, we offer a wide array of high-performance, decorative, and budget-minded options in standard and custom colors, blends, patterns, and textures. Faster curing materials are available for fast-track projects requiring quicker turnarounds & return to service. Unlike conventional vinyl composite flooring, a resinous flooring system does not require the long-term life cycle costs associated with waxing, buffing, and chemical stripping. These reduced life cycle costs can bring added value to the fire & public safety flooring investment. 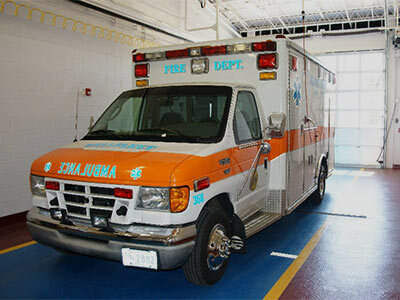 The fire station or firehouse is truly a multi-purpose facility housing large vehicles, equipment, and personnel. There are often administrative, dispatch, office, training, kitchen, dining, recreation/fitness, and sleeping areas. In some cases, the firehouse is used as a community gathering place, with public use areas like kitchen, dining, recreation, and restrooms. Given the wide array of uses, exposures, and traffic patterns, the seamless polymer floors installed in these environments have to be highly functional, heavy duty, easy to clean & maintain, as well as stylistically decorative and appealing for the common & public use areas. In the apparatus, engine & vehicle maintenance bays, the high-build, seamless polymer resurfacing systems must be built to last, with superior impact, wear, chemical, stain, and non-slip resistance. Overall, ProREZ has a diverse yet efficient product and system offering to meet the various performance, design, and budgetary requirements of both large and small firehouse facilities. Like other public safety buildings, these 24/7 facilities share similar performance, aesthetic, and budgetary requirements. 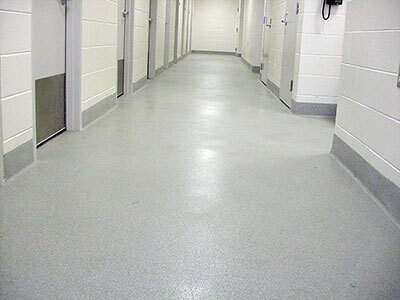 The seamless polymer flooring systems installed in police stations must stand up to heavy foot traffic with hard-wearing and long-lasting finishes. The areas found in these buildings often have diverse uses and exposures, but they all must be easy to clean and maintain while providing lasting protection with excellent abrasion, scratch, impact, chemical, stain, and non-slip resistance. Aesthetics and functionality may vary from operations, dispatch/communication, training & evidence rooms to holding, locker, bath/shower, lounge, and fitness room areas.